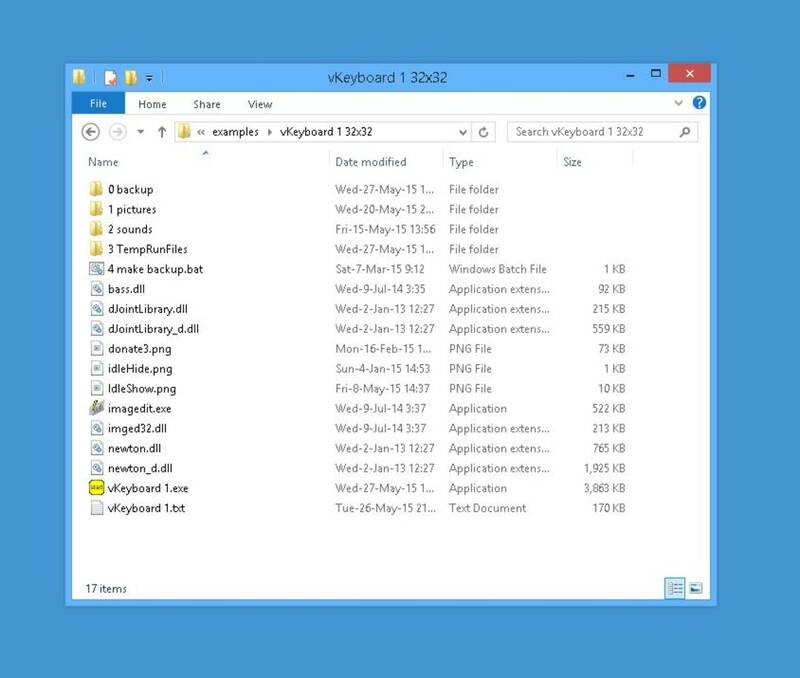 It is designed for users that want to create button icons with script commands on the desktop that you can push it with the mouse or touch device, and can do anything. If you work with a keyboard you need your hands to push a keystroke on the keyboard. 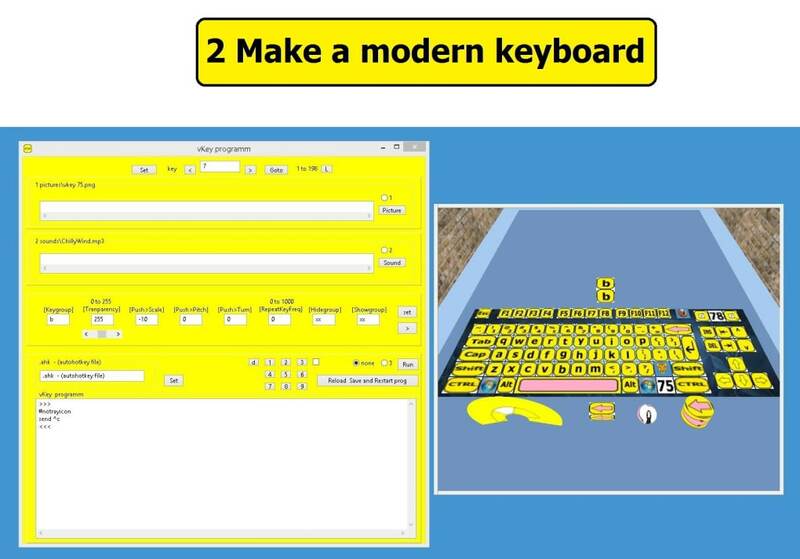 example ctrl+c With keystarter 1.0 you can stay your hands always on the mouse, and push only the button icons on the screen. It required that you did install on your system the populaire autohotkey. 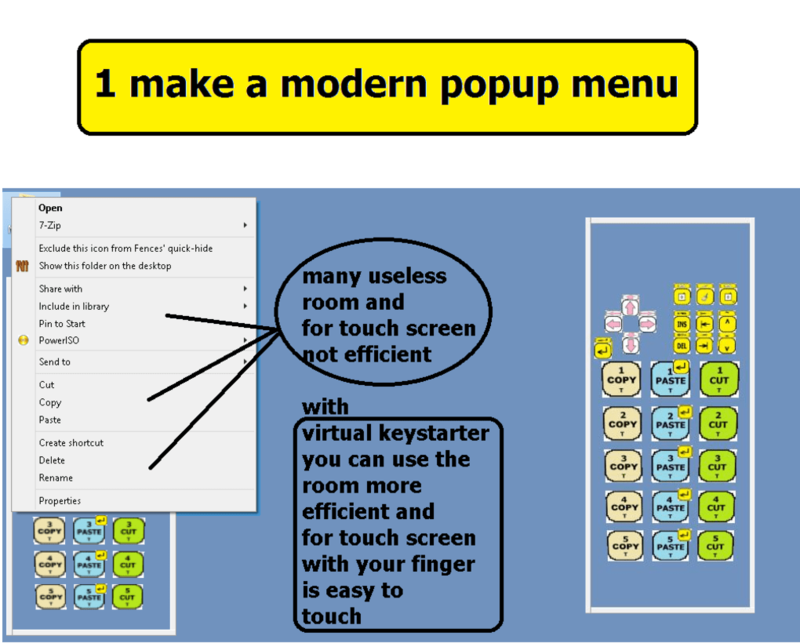 you are then able to make in 3d your own buttons, popup menu, multi clipboard, virtual keyboard in the mouse pointer or on the desktop, keystarter1.0 is portable put it on ramdisk or disk and run it. It is a 5 days in every week freeware Saturday and Monday only with license. 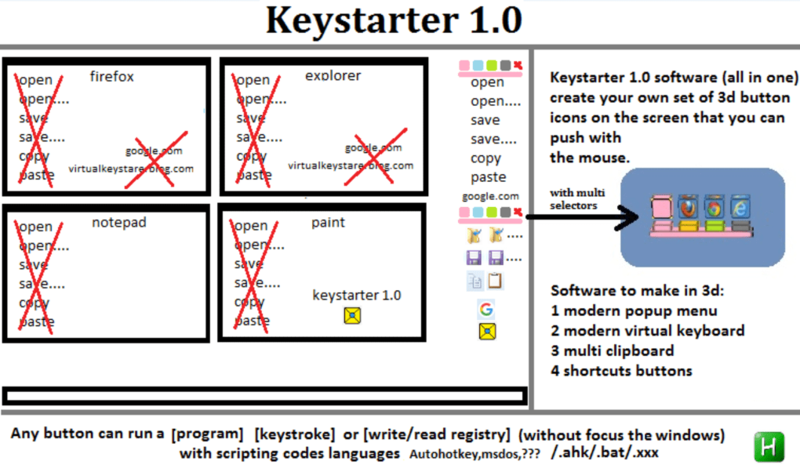 keystarter 1.0 works different like other virtual keyboards software. The most of them can not do, Directly true these button icons, Show or hide a complete new set of button icons with new scripts in the same area, Transparency, Move the button icons or Cam, Resize, Turn, Roll, Pitch, Change pictures icons, 3d icons card, disk, cubus, sphere, cylinder, Run multi program's with 1 icon, Run 1 icon no need to see the hole keyboard on the screen. 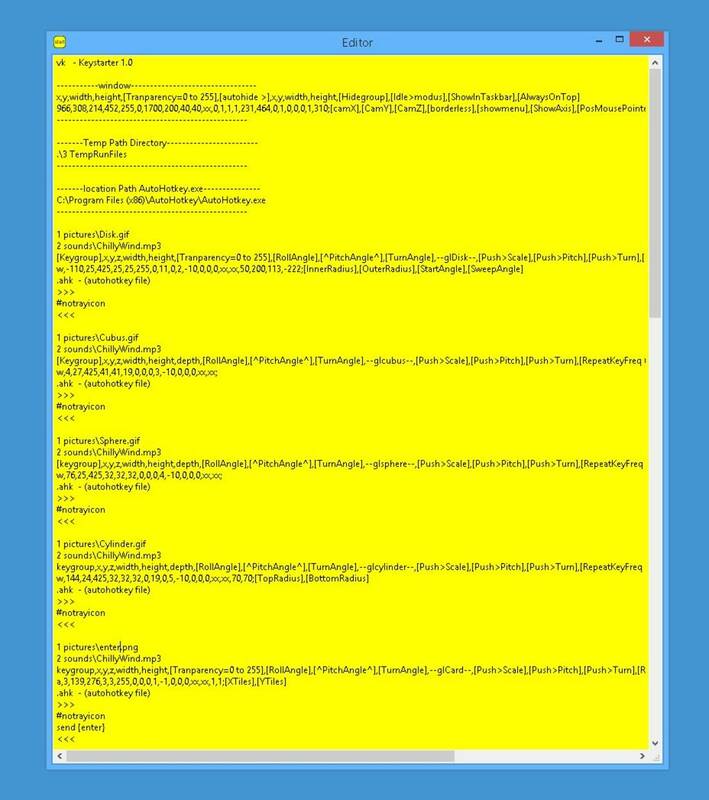 Use the autohotkey. In the latest version you have new performance, new example's, update checker, you can auto hide or pin the show menu. and now it have for gamers, Gaming Shoot Loop example code's. you can use it in any game you like. Great and very innovative tool to have . It makes it very convenient, when the common functions like copy , paste etc. can be done with clickable buttons . it's especially a great tool for the touch screen users , it's more convenient to touch large buttons than something like a list that appears on the right click or the keyboard shortcuts. can replace the keyboard short cuts with clickable buttons. The 3d interface is awesome . 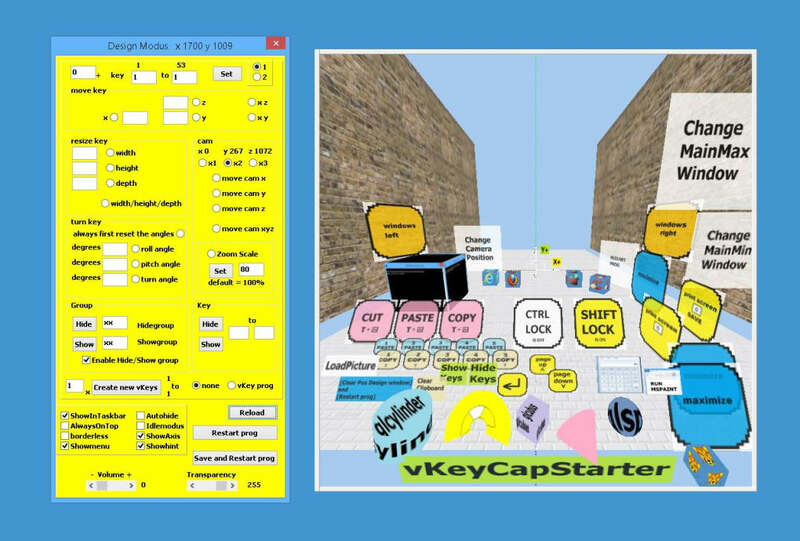 you can easy create new buttons and run any keystroke or program in 3d.. you can easy create new buttons and run any keystroke or program in 3d. its works fine on my new windows 10 system. What do you think about keystarter? Do you recommend it? Why?